Nearly all the deposits of heavy oil are degraded remnants of conventional oils. Degradation begins when oil migrates toward the earth’s surface and encounters water containing oxygen and bacteria. A tar-like material is formed at oil-water contact that eventually invades the entire oil accumulation. A process known as “water washing” removes the more water-soluble, light hydrocarbons, leaving a heavy oil accumulation. Heavy oil accumulations may represent as little as 10 percent of the original conventional oil Rigzone. 2015. "How it Works: Heavy Oil". Rigzone. 2015. "How it Works: Heavy Oil". Rigzone. 2015. "How it Works: Heavy Oil". Rigzone. 2015. "How it Works: Heavy Oil". Rigzone. 2015. "How it Works: Heavy Oil". Rigzone. 2015. "How it Works: Heavy Oil". Rigzone. 2015. "How it Works: Heavy Oil". Rigzone. 2015. "How it Works: Heavy Oil". .
Due to their high density and viscosity, special extraction methods are needed to recover heavy oil efficiently. These methods include: surface mining, cold production and thermal recovery. Heavy oil may also require additional processing, usually referred to as upgrading, after being produced in order to be transported and refined. 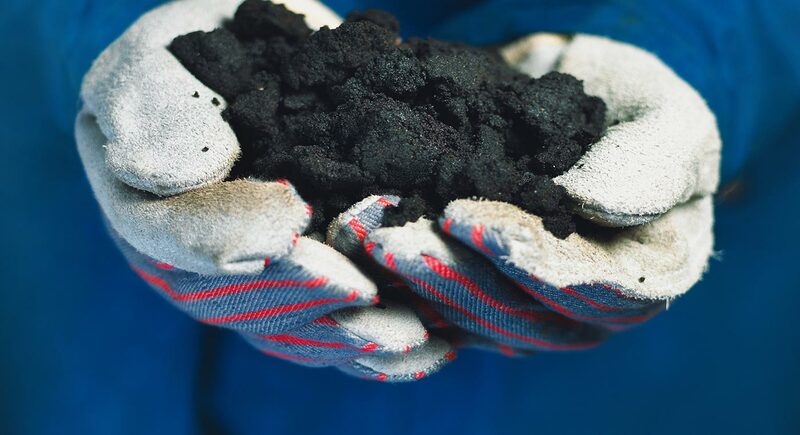 Large amounts of energy are put into the extraction and production of heavy oil - about 20% to 30% of the energy that is actually produced Fabian Bjørnseth. "Heavy Oil Production Technology Challenges and the Effect of Nano Sized Metals on the Viscosity of Heavy Oil". June 2013. Fabian Bjørnseth. "Heavy Oil Production Technology Challenges and the Effect of Nano Sized Metals on the Viscosity of Heavy Oil". June 2013. Fabian Bjørnseth. "Heavy Oil Production Technology Challenges and the Effect of Nano Sized Metals on the Viscosity of Heavy Oil". June 2013. Fabian Bjørnseth. "Heavy Oil Production Technology Challenges and the Effect of Nano Sized Metals on the Viscosity of Heavy Oil". June 2013. Fabian Bjørnseth. "Heavy Oil Production Technology Challenges and the Effect of Nano Sized Metals on the Viscosity of Heavy Oil". June 2013. Fabian Bjørnseth. "Heavy Oil Production Technology Challenges and the Effect of Nano Sized Metals on the Viscosity of Heavy Oil". June 2013. Fabian Bjørnseth. "Heavy Oil Production Technology Challenges and the Effect of Nano Sized Metals on the Viscosity of Heavy Oil". June 2013. Fabian Bjørnseth. "Heavy Oil Production Technology Challenges and the Effect of Nano Sized Metals on the Viscosity of Heavy Oil". June 2013. . Heavy oil makes up a significant portion of the world’s discovered petroleum resources, while only a very small fraction of these resources have been produced so far. High density and viscosity have traditionally made their recovery energy demanding in comparison to lighter oils. Heavy crudes are expected to be a large contributor to the world’s energy needs in the future, as conventional supplies decrease. However, the technological costs to produce a barrel are currently much higher than with conventional resources. Additionally, the increased energy requirements and unconventional practices in production raise various environmental concerns such as land disturbance, tailing ponds, and higher greenhouse gas emissions. ^ Rigzone. 2015. "How it Works: Heavy Oil". ^ Fabian Bjørnseth. "Heavy Oil Production Technology Challenges and the Effect of Nano Sized Metals on the Viscosity of Heavy Oil". June 2013. Sorry, we do not yet have a video specifically for Heavy Oil. We are adding new videos to StudentEnergy.org weekly, but in the meantime check out this video on Oil Sands.